An outcast in the Sheng Family, her existence was ignore by her own father, where sister rivals among each other to survive, where the worst always waiting to fallen upon one. Ming Lan however persist against fate, under her grandmother care, she flourish from being an outcast into someone will determine the fate of her own family. Gu TingYe is the unruly son, who always venture into the wine house, where the father had also kind of written him off as a pretty useless son. Knows MingLan since young, had also save MingLan once before, while MingLan going through some hardships and prevail through it, he left house and enter the military where he score a winning point where he ask for MingLan hand in marriage as his reward. 2nd son of Qi Family, like Ming Lan, but due to family objections unable to get together with Ming Lan. The life of an ancient noble woman is often determined and controlled by her family. In addition, one’s actions often implicates one’s entire family – thus, it is fairly common to see an unexpected calamity result in suffering borne by one’s whole family. Managing to live a good and successful life while retaining one’s dignity is simply too difficult to achieve. The transmigration theme could be easily removed from the storyline as it only play a small role. So I hope they stay faithful to the novel, not change it (like Princess Wei Young, although I quite like the drama) or ruin it (like General and I). Another ZLY project - looking forward to this!!! Right now, hooked to Princess Agents. @sugarplum892 hi, i really liked FSH in Prince of Lan Ling as he potrayed the LLW so well i got so besotted by his character. His subsequent roles were less appealing and I am waiting to see how he's going to portray the male lead beside talented ZLY here. I can't wait for the drama to be released!! So many novels are being released in drama version!! Fabulous!! @sugarplum892 hi, i really liked FSH in Prince of Lan Ling as he potrayed the LLW so well i got so besotted by his character. His subsequent roles were less appealing and I hope to see how he's going to portray the male lead beside talented ZLY here. hello same! felt like after LLW he hasn't done a role that was appealing. I m excited for this drama. ZLY after PA and historical I m very excited. Hope they have good storyline. I’m a fan of ZLY and FSF… Super excited to see their chemistry on screen… I hope the drama won’t be dragging. Anyone know if there is an eng translating for the novel? Excited to see how ZLY will portray a pessimistic and negative person since her face is so round and fluffy oozing positive charm.haha. I love it when she always try to choose different role in her dramas or movies. I think this is the first time she'll act as a pessimist, worth to wait. I hope this drama get a good viewers and ratings. The director Zhang Kai Zhou record was proven with good ratings dramas b4. Is this a wedding costume? the production company is really good, I am a bit iffy on the director since I found Ode To Joy 2 not as good as the first one but it could also be the script. One of the screen writers worked in War of Changsha and that has really good reviews. So I am hopeful. We just need a good script, decent director, and good production company. Cast is out. Seems like a lot of the actors are from the production company. A lot of people I don't know. 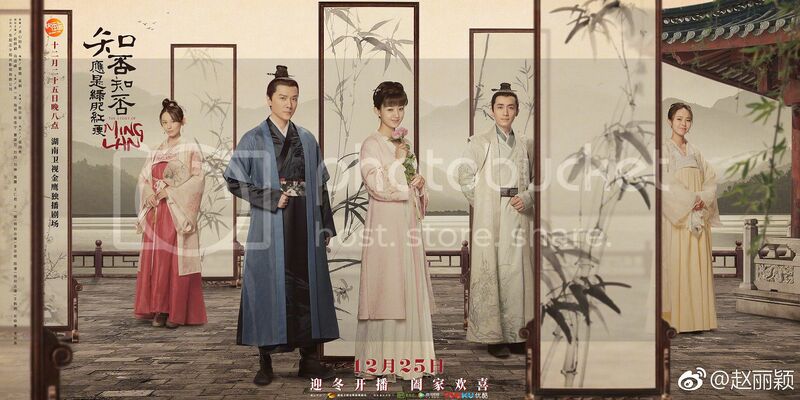 I think only Zhao Liying and Feng Shao Feng are popular. Should cast shawn dou and LGX back..